Attending a Los Angeles DUI hearing is a stressful and sometimes frightening prospect. However, facing the hearing officer is a better idea than avoiding the situation altogether. Rapper Chief Keef is currently learning this lesson the hard way. The 19-year-old Chief Keef’s predicament began in March 2014, when police pulled him over on suspicion of DUI. 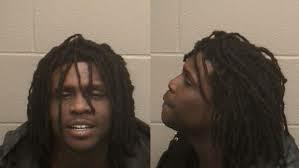 When a potent marijuana smell prompted officers to administer a sobriety test, Keef failed and was placed under arrest. Keef sustained additional charges for failing to provide proof of insurance and driving on a suspended license. The troubled rapper’s previous legal problems include involvement in a shooting, rehab stints, and child support disputes. Perhaps his aversion to the law is what caused him to skip his August DUI hearing. Currently, a warrant for Keef’s arrest is pending, and authorities plan to arrest and hold him on $50,000 bail. In California, the DUI hearing is an important procedure, setting the tone for the remainder of the court process. The accused may choose a phone or “live” hearing, the latter of which gives him or her the best chance of presenting a compelling legal defense. A DUI attorney and witnesses may speak for the defendant, as well. Missing a DUI hearing not only gives you no chance to state your case, but it also shows disrespect and disregard for the legal process. Should you choose to skip the hearing, you may be arrested and held until your arraignment. Further risking your freedom is an unwise way to begin a defense. The Los Angeles DUI attorneys at the Kraut Law Group understand how intimidating a DUI hearing can be; in fact, attorney Michael Kraut once acted as a prosecutor in such cases in his role as Senior Deputy District Attorney. Rather than running away from the court, contact us today to learn how we can put our knowledge of California law and experience with DUI cases to work for you.